Eight years may not sound like much time, but in the tech world that equates to many lifetimes. Formerly Melbourne IT, one of Australia’s largest hosting providers, Arq Group knew they had to embrace a different organizational and business model to meet the needs of enterprise customers looking to the cloud. In the eight years since Melbourne IT first began to change their approach to providing managed services for enterprise customers, the company has fundamentally transformed their business from traditional hosting provider to a cloud-first, end-to-end Managed Service Provider (MSP). After joining the AWS Partner Network (APN), Melbourne IT quickly grew their business on Amazon Web Services (AWS) and became an APN Premier Consulting Partner and member of the AWS MSP Partner Program, which recognizes leading APN Partners that are highly skilled at providing full lifecycle solutions to customers. After acquiring two major players in the mobile and data analytics spaces, Melbourne IT re-branded to Arq Group and now provides customers with next-generation MSP capabilities focused on education, transparency, and automation. Next-gen AWS MSP Partners like Arq Group help enterprises invent tomorrow, solve business problems, and support initiatives by driving key outcomes. AWS MSPs provide the expertise, guidance, and services to help customers migrate to AWS and optimize your workloads through each stage the cloud adoption journey: Plan & Design > Build & Migrate > Run & Operate > Optimize. Steve McCormick, Chief Customer Architect at Arq Group, credits the AWS MSP Partner Program with opening up opportunities for significantly larger projects with top-tier organizations both locally and globally. Arq Group’s ability to bring managed services into their mobile and analytics organizations is an essential strategic advancement that has substantially increased revenue growth and profit. After piloting their own public cloud offering, Arq Group chose to embrace a different organizational model and partner with a hyper-scale cloud provider. “The pivotal moment for us came in 2012 when we decided to build an AWS-based practice,” says McCormick. “We knew that to meet our goals, we needed to become a top partner with AWS and embrace the next-generation MSP model, which meant making many changes to our internal culture, our collaboration methods, and our delivery service models. As Arq Group evaluated how they could better address the end-to-end customer lifecycle, the organization sought to expand beyond is traditional service offerings by integrating new build and design capabilities into their areas of expertise by bringing in new experts into the fold. In this video, Cameron Boog, Executive Director of Cloud and Managed Services at ARQ Group, describes the value they saw in joining the AWS MSP Partner Program. In 2015, Arq Group acquired one of Australia’s leading mobile development agencies, Outware, to improve their human-centered design capabilities for customer engagements, and to provide a full range of digital experiences to customers. In 2016, they acquired InfoReady, a data and analytics firm with a core competency in creating innovative, data-driven digital solutions for customers. Rebranding as Arq Group was just one change to help customers understand the full scope of what the company has to offer. “With the integration of strategic technical capabilities—data analytics and digital solutions, mobile development and product design, and cloud architecture and management—we’re able to provide a more holistic customer experience,” says Boog. Arq Group has found that customers get better experiences and drive more innovation when the edges of their capabilities intersect and overlap. Arq Group estimates that 50 percent of their business is dedicated to planning, designing, and migrating customer applications, while 50 percent is dedicated to running, operating, and optimizing customer environments. Core to Arq Group’s ability to offer new value to customers is their Continuous Value Delivery (CVD) process, which is run on an innovation and services model that drives new ideas and value into the customer platform. Arq Group uses the CVD process to solve problems and help customers evolve. 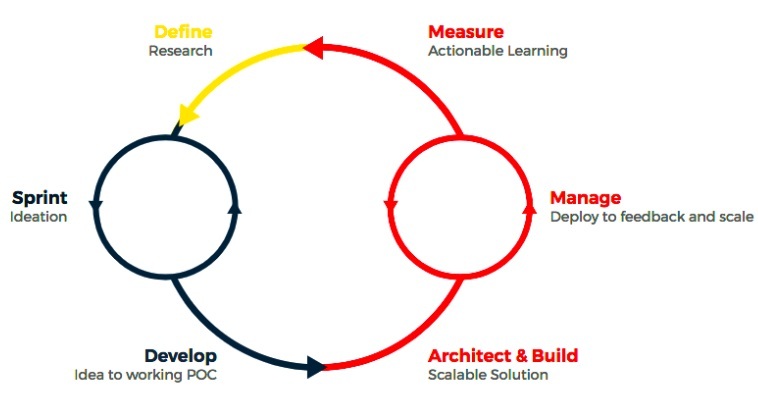 The process includes five steps: ideation, moving from idea to Minimum Viable Product (MVP), building an enterprise solution, continual operation and feedback, and actionable learning. By implementing systems of continuous change, Arq Group is able to drive new ideas and concepts that can be fed back into their managed services. We’re proud to have built a robust MSP Partner Program that includes vetted next-generation AWS MSPs from around the world. 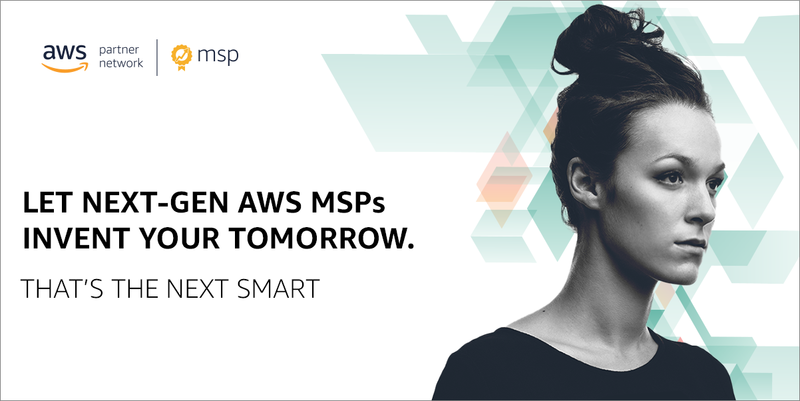 No matter where you’re located, what your focus is, or where you’re at along the cloud adoption journey, there’s an AWS MSP that can help you drive transformational business outcomes. Arq Group is an AWS Managed Service Provider. They have a proven ability to design and manage complex web environments in order to deliver predictable web outcomes for businesses operating online. 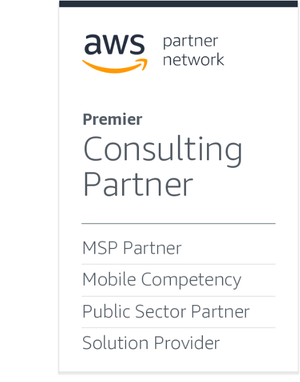 Arq Group is an APN Premier Consulting Partner and AWS Competency Partner.